The Russian media says President Dmitry Medvedev has taken a dip in the Jordan River in commemoration of Jesus' baptism. 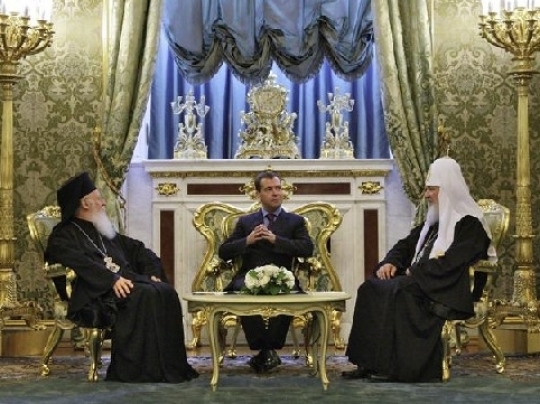 RIA Novosti and ITAR-Tass say Medvedev was dunked three times — in line with Orthodox tradition — at a site in western Jordan where Jesus is said to have been baptized by John the Baptist. Two Jordanian officials said Wednesday's event was closed to the media at the request of Russian officials, who said the president wanted privacy. Read the rest of the story about Medvedev's recent baptism.